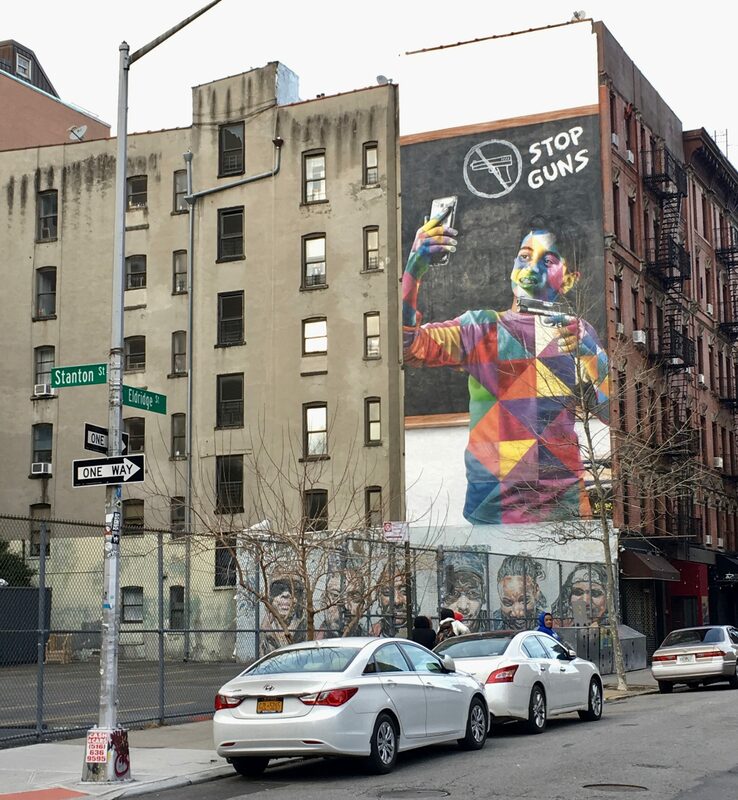 On one of my recent Street Art Safaris, I found myself walking east on Eldridge Street, where I couldn’t help but notice more than a few stickers and small murals supporting anti-gun violence messages. 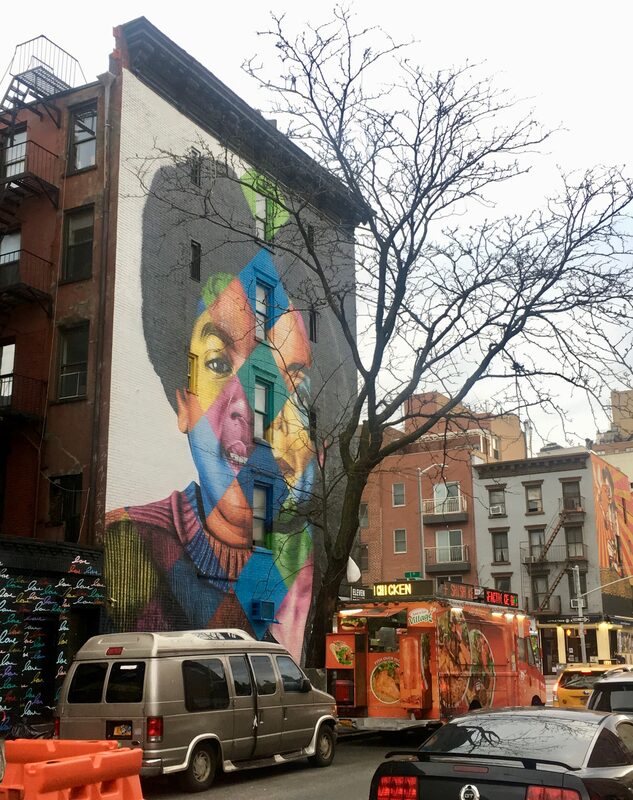 And then I saw this one: another work by Brazilian street artist Eduardo Kobra, whose work is instantly recognizable for its kaleidoscopic mosaic of bright colors. 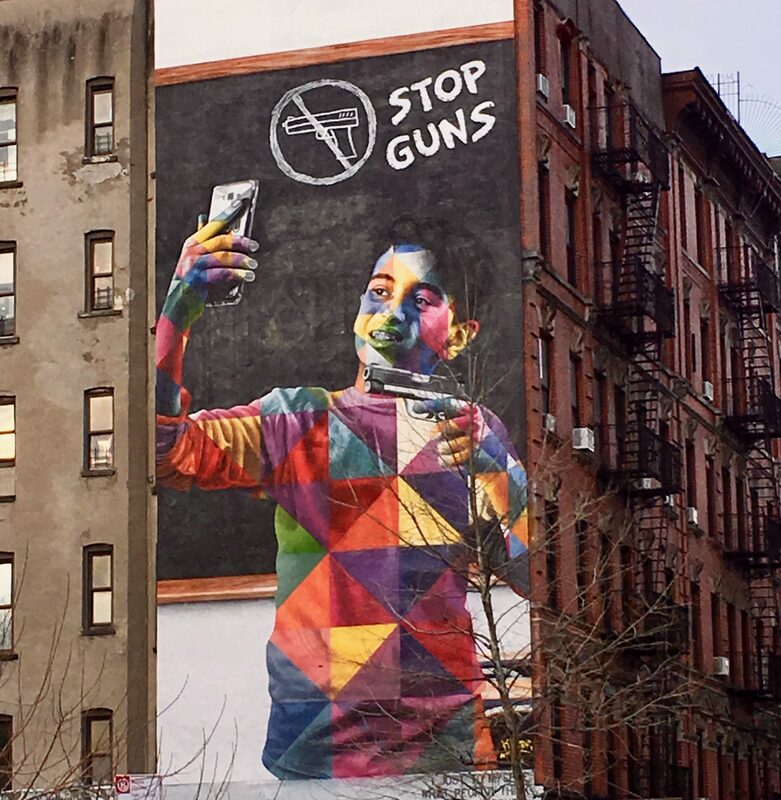 Kobra’s Stop Guns is a multi-story artwork depicting a young boy posing for a selfie, with his phone held up in one hand and a pistol gripped in the other. Very sobering. Appropriately, the piece is located adjacent to a parking lot beside Cascades High School. 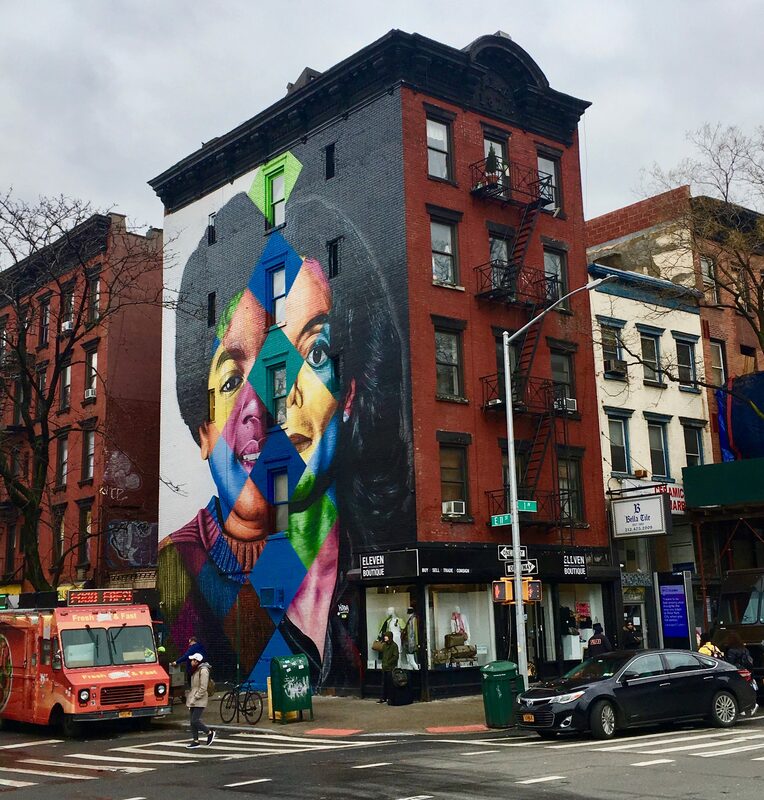 This Mural, Which Went Up on August 8th, 2018, is Located at the Corner of Stanton and Eldridge Streets on NYC’s Lower East Side. 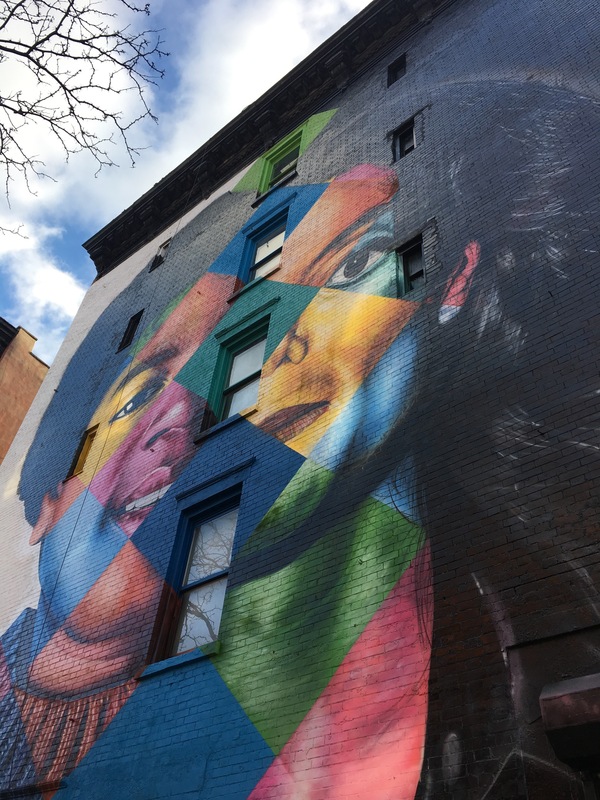 Brazilian artist Eduardo Kobra continues to make the rounds in NYC, but this mural of Michael Jackson’s Face as both a child and an adult actually went up some time ago, in late August of 2018. I have walked by it a bunch of times and that orange food truck is always there, so it’s hard to get a clear shot. Dead for nearly a decade at this point (as hard to believe as that is) Jackson continues to be a highly polarizing figure, especially in light of the just-aired HBO documentary Leaving Neverland, which most definitely lends considerable credence to the child abuse allegations of which Jackson was charged and then famously acquitted. It just makes me sad for everyone involved. I wonder how long it will be now before this mural is painted over. 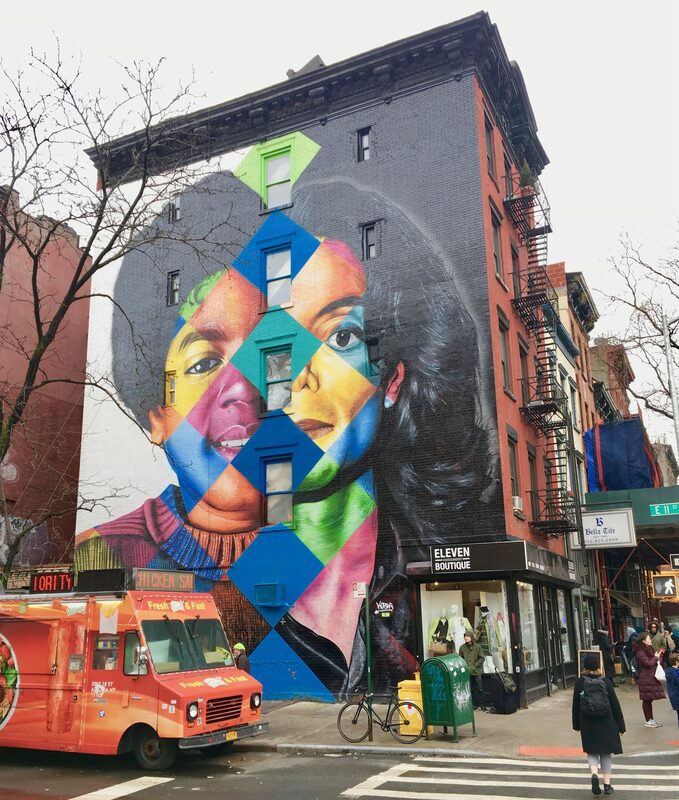 The Michael Jackson Mural is painted on the side of an apartment building located at the Southeast corner First Avenue and East 11th Street in NYC. 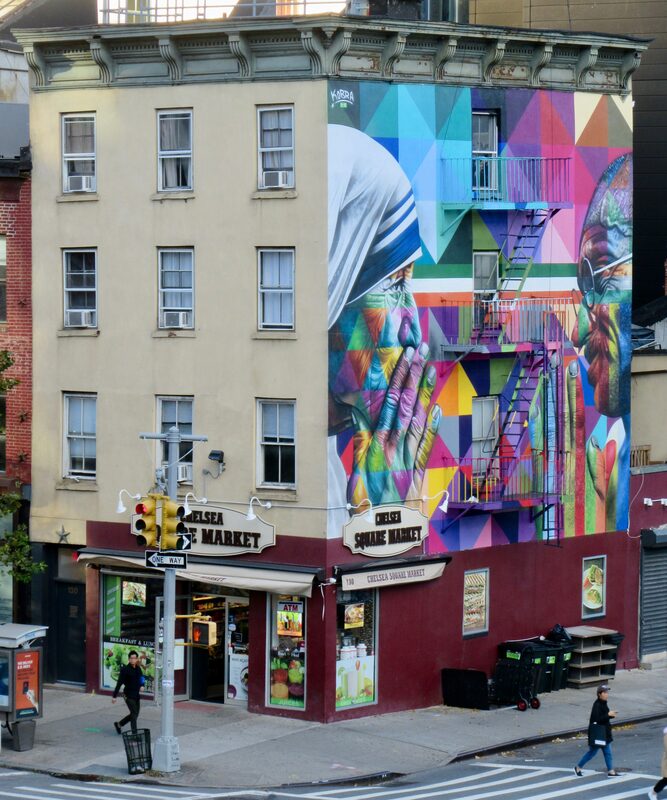 No one can excuse muralist Eduardo Kobra of slacking when it comes to making sure that his work is well-represented on the streets (or buildings) of NYC. 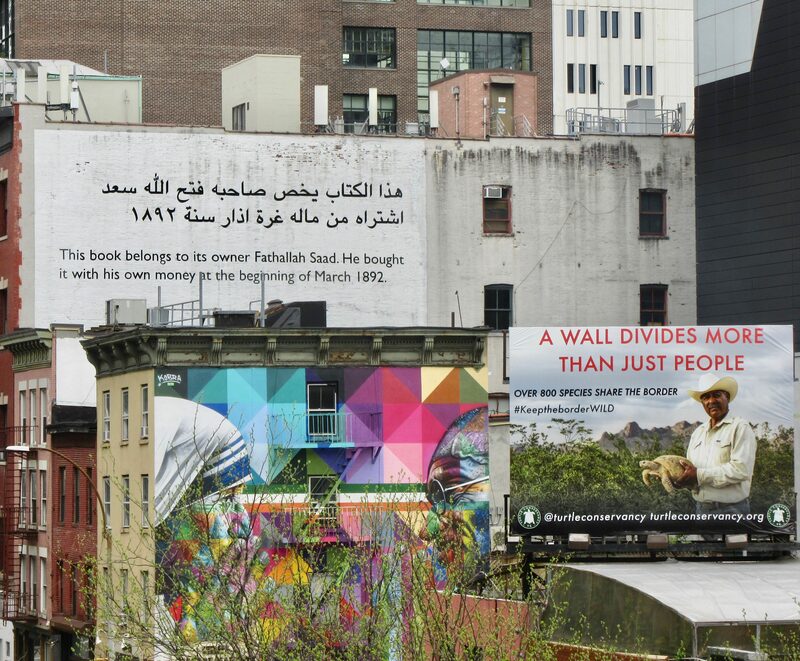 Recently, I brought you cool photos of his mural over by The High Line depicting Mother Teresa and Gandhi, and I also have shots of the installation-in-progress of his Mount Rushmore of Artists adjacent to the former Empire Diner on Tenth Avenue. Plus, there’s reportedly a Michael Jackson mural in my neighborhood that I have yet to even see. 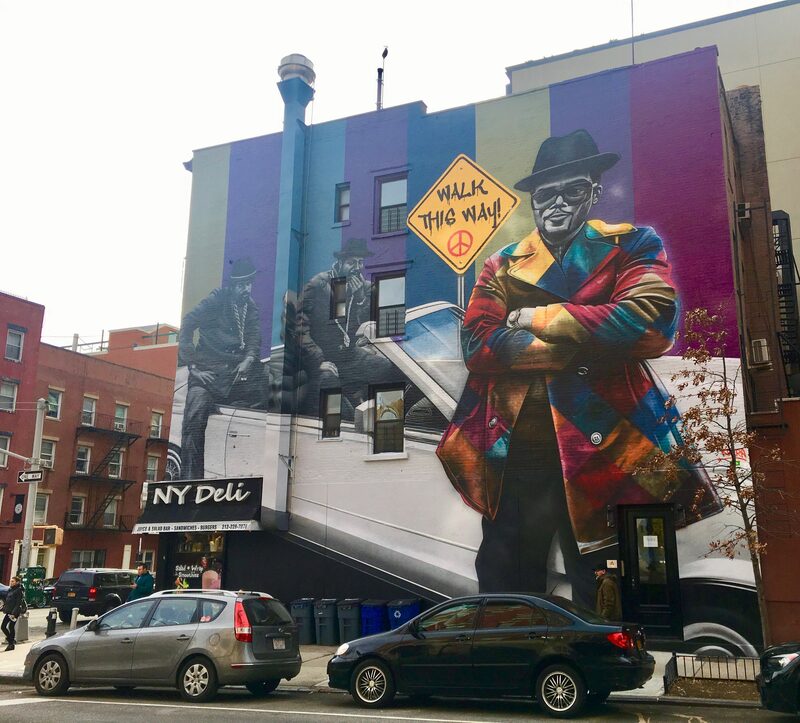 And it was an accident, or the prevention on one, that lead to my discovery of this nice homage to Run-D.M.C., which is on southwest corner of 12th Street and Avenue A in the East Village. This mural went up in November 2018. 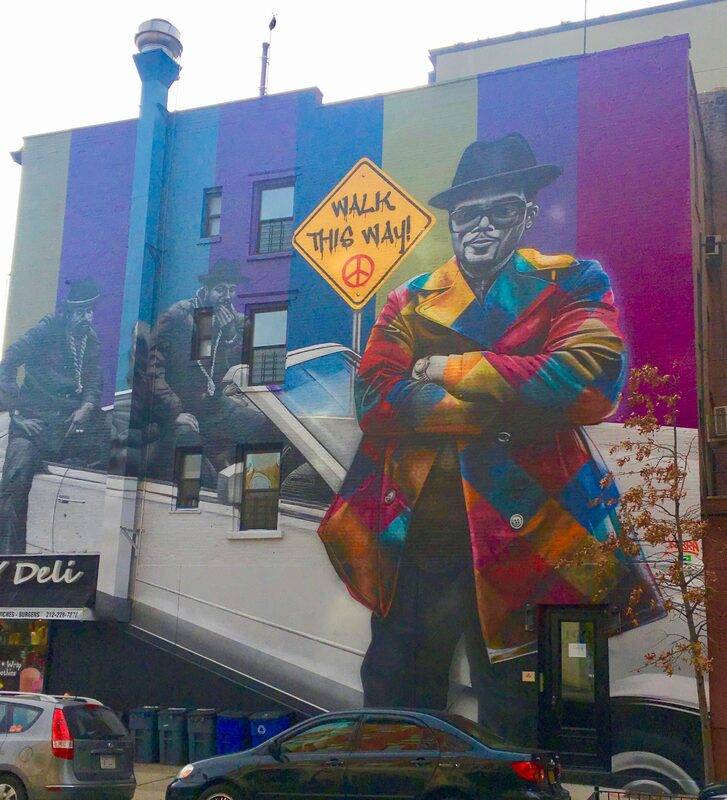 Now that summer is here, a warm, sunny day is the perfect time to go on a Street Art Safari around the neighborhoods of Williamsburg and the adjacent Greenpoint, Brooklyn. 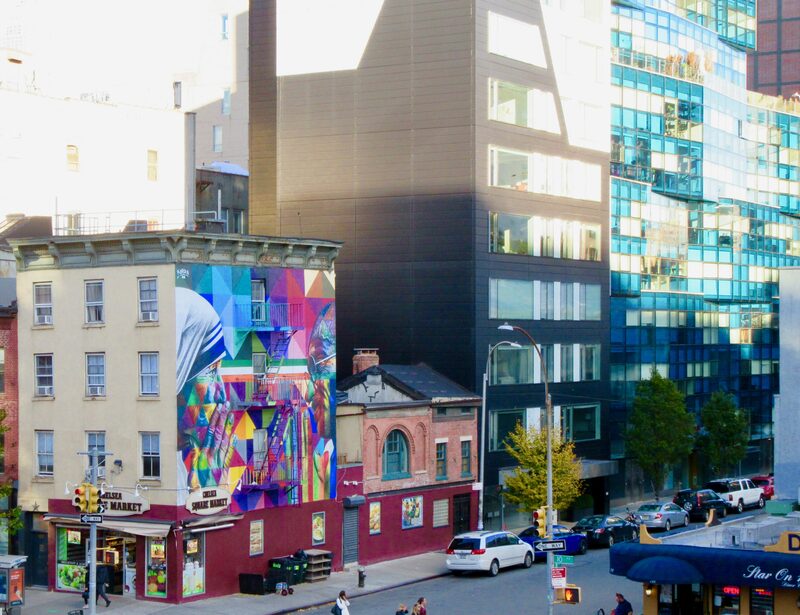 Just take the L Train from Manhattan to either the Bedford Avenue or Lorimer Avenue stops and you’ve got an urban Wonderland that’s yours to freely explore. 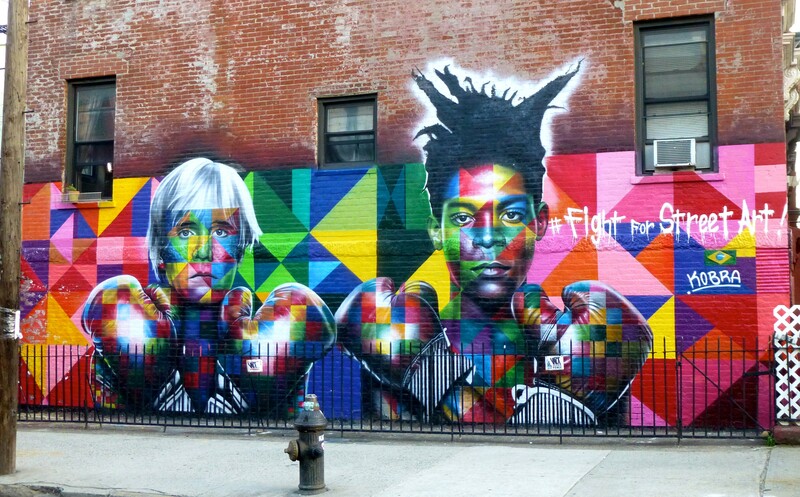 Recently, we spotted this colorful piece by Brazilian mural artist Eduardo Kobra on North Ninth Street just east of Bedford Avenue and instantly recognized it as an homage to one of the 1985, black-and-white portrait photo’s by Michael Halsband (see below), which captured Jean-Michel Basquiat and Andy Warhol wearing Everlast shorts and boxing gloves. 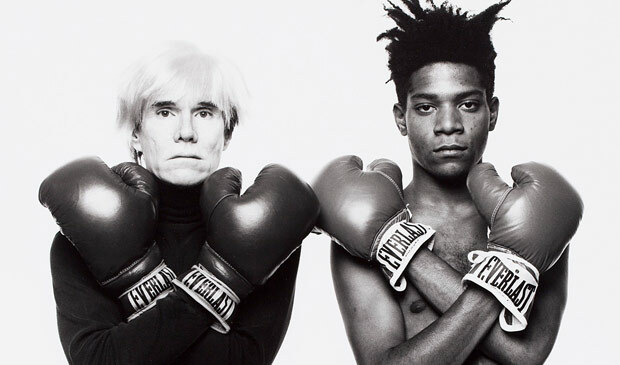 Stay tuned to The Gig for more Brooklyn Street Art plus reports on fun stuff to do in Brooklyn this Summer!